zuuzs is hosting a Holiday Gala Giveaway this month with a prize being given away every day until December 15th. 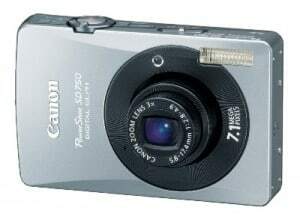 Today’s prize is a Canon PowerShot Elph Camera! zuuzs is a website where friends can meet to shop, share and earn together. It’s a shopping site where you can earn cash back on your purchases plus it’s just a fun site to visit! You can do all your online shopping on their site and they feature many popular retailers. It’s free to join and they feature great deals every single day. Right now, it’s a US only site though they plan to introduce Canadian retailers in the future. There’s no need to leave a comment on this post since zuuzs will be tracking everything from their end. They will be announcing winners daily on the zuuzs Holiday Gala page. Join today and be entered in to win all the prizes in the Gala. If you are already a member of zuuzs you can still earn entries into the giveaway by inviting your friends to join or by connecting your Facebook account if you haven’t already. The giveaway is open to US only and ends December 15, 2011.